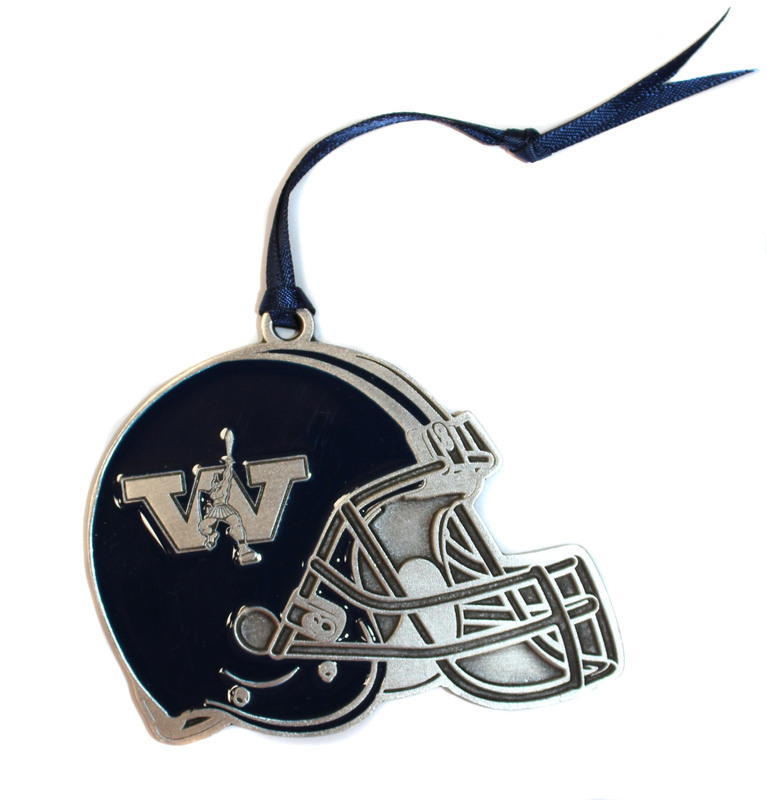 Westminster Football Helmet Pewter Ornament with navy enamel fill. Titan Football on reverse side. Measures 2 inch by 3 inches.